We know there's no such thing as a typical customer. Luckily we’re not a typical agent. Aspire Estate Agents, specialists in property for sale and to rent across South West London with offices covering Balham, Battersea, Clapham North, Clapham South, Furzedown, Fulham Central, Fulham South, Streatham, Tooting and a specialist London Riverside office. We don’t just sell & let property. We’re known for our superior service and ability to provide clients with a tailored experience. Our Sales & Letting Team members are handpicked for the job. They are the kind of people that have patience, strategic minds and a calm and intelligent approach to a complex situation. They work hard, are proactive and helpful, adding value to a client’s overall experience at every stage. Our letting and management departments are registered with ARLA [Association of Residential Letting Agents] and our business is founded on integrity and clear, honest communication. For some estate agents, the Lettings element is just a case of ticking a box, but at Aspire, we take it very seriously. We appoint the right kind of people to work with our lettings clients – those that are quick thinking and sharp, so well placed to respond to the fast pace of this business. We pride ourselves on the service we provide to our lettings clients, advising them on how to maximise their property’s potential, managing viewings and sourcing diverse local trades people. As with all aspects of our business, adding value is central to our approach. "Aspire have been the most proactive and efficient estate agent I've ever dealt with"
"We have had a very positive experience working with Aspire, and specifically with Christine Andrews. She responded very well and quickly to what we said we wanted - not trying to push houses that weren't right for us or were out of our budget. When we found a house we liked, she managed negotiations between us and the vendor very quickly and helped us to find a price and a timescale we were all happy with. I would definitely recommend Aspire to others as it was a very personalised service - Christine was always available on the phone or in person when needed, was very supportive through the process and helped us to reach exchange withing a very tight timescale. Thank you very much!" "I have dealt with Aspire for several property transactions and during that time they have always been excellent and their skill and re-assurance has always got the transaction through in a timely manner. Professional calm, cheerful and friendly are words that spring to mind, and I have no doubt that without the infinite patience and effort from both Charles and Matt then this sale would not have taken place. I will definitely use Aspire again for our next purchase in the area, so many thanks to the team." "My wife and I have found the purchase of our house amazingly smooth with Aspire Balham. A great group of friendly, efficient and thorough people. From day one we felt trust and NO pressure and this is a rare experience for us with London estate agents, and thought the whole process this trust was validated and stood true. Quite simple they made what can be a stressful process very enjoyable and straight forward. I will very likely use them again to sell, buy or let if this experience is anything to go by. A special thanks to Adam, a real credit to the branch." "As ever I am truely grateful for the service provided for me by Aspire. All the staff are lovely people and unfailingly friendly and helpful. Aspire has also always found us good tenants, and this time appears to be no exception !! I am grateful for being able to entrust the letting process to you as professionals. We are good at being landlords and you provide the other side of the coin. I am sure that you know I would (and do) recommend Aspire." "It is the second year that Aspire have successfully let my property. The whole process each time has been very smooth and trouble free, from providing realistic rental estimates that they then achieved, regular feedback throughout viewings as well as maintaining a good relationship with my existing tenants, then finding suitable tenants that met my requirements and could move in on the available date avoiding any void periods and regular communication regarding all aspects of new tenancy / administration process. Throughout all of this the whole team at Aspire have been helpful and friendly and I have every intention of continuing to use their lettings service in the future. I wouldn't hesitate in recommending them to other landlords." "From the first viewing we had with Christine she was friendly and very professional. We are first time buyers and she was fantastic at communicating the process and giving us numerous updates throughout. We trusted Christine 100% and she went above and beyond to help us purchase our flat. Christine knew the answers to all the questions we asked and produced a very efficient service. Thank you very much for all your help. Thanks so much again for all your help." "Christine Andrews from Aspire in Clapham managed the sale of my flat in Clapham Road. She was always very approachable, she gave sensible advise and was very calm and patient! There were a few “sticking points” in the sale of the flat, including tricky tenants and a difficult lawyer. She dealt with both patiently and professionally. I would highly recommend Aspire to sell a property." "With regards to the purchase of the above flat, I would like to thank you and the team at Aspire of your professional and courteous approach throughout the whole buying process. I really appreciate the multiple viewings of different properties, which allowed us to compare and contrast types of flats and locations, before we made a decision. I realise that Aspire act for the vendor, but we as buyers were kept in constant communication and fully informed as you tied both ends of the deal together. The service was exceptional and I would like to thank you. I would be more than happy to recommend your service to prospective sellers/purchasers in future." "Having recently completed the above purchase, I would like to commend the way Aspire and particularly Alexander handled and managed to process. In the first instance I am grateful that Alexander was so proactive in telling me about the property and, politely, insistent that I view it as a priority straight after he first saw it himself. Furthermore, had he not already been very proactive showing me a number of other flats I might have had less conviction to quickly to make an offer. The team at Aspire were consistently helpful and accommodating with all viewings. Alexander was great at keeping me informed during the whole process, and also communicating with my mortgage adviser and solicitors too, as well as being extremely helpful guiding me as a first time buyer. He was admirably patient in this regard. In his absence the process was managed seamlessly by Kit. Overall, I would have no hesitation in recommending Aspire and am most grateful to Alexander for his knowledgeable, efficient management of the purchase." "I found Aspire and the agent/negotiator to be very prompt in replying to queries relating to the property. The process of renting was made straightforward and we were kept regularly updated as inventories were carried out for the property. Regarding whether I would recommend Aspire to anyone in the future - I would definitely recommend them for the area, and indeed have already passed details of the agent to a friend looking to move in the next few months to the Clapham area. We were shown properties within our budget which we could realistically afford to rent, and a range of properties in the area we were interested in." "I have had the good fortune now to work with Tom Ward and Aspire on 4 separate transactions. At least 2 of these have been underpinned by complex rearward/onward chains and similarly demanding human factors. In every instance TW has handled the various fractions with deft expertise and calm. Reassuring, in the detail and charming to deal with I wish I could sell/buy another house in order to work along side him again. Tom's manner and professionalism are reflected across the board. Aspire's junior staff and office team project a simple decency and client service that is rarely associated with the property industry. All of this is set from the top. The personal touch is backed up the firm's infrastructure; recommendations on mortgage brokers and easy to use administrative procedures. Particular credit goes to the Aspire website which seems designed for the IT illiterate - I was able to navigate it with ease, really get under the skin of properties of note and rule out those that failed to match my criteria. Such care meant that we don't have to waste time on fruitless house visits. "I would wholeheartedly recommend using Aspire as an estate agent when looking to rent in South London. From the minute we expressed an interest in a property, Aspire were quick to offer assistance when it was needed, as well as advice on a variety of matters. The staff at the Clapham High Street office were all extremely professional and helpful, making our move to London as stress free as possible." "We really wanted to work with someone who knew the local area, and having had a very positive experience buying our property through Aspire, we went straight to them when we needed to let. They were - as before - warm, straightforward, thorough, and judged the market well. We were actually shocked at how quickly they found us excellent tenants, and Aspire were then very flexible in helping us organise a tenancy that met our respective needs. We would very happily recommend Aspire to others in the area." "I wanted to write and thank you. You were always professional, courteous, transparent in your communications, and also personable easy to deal with. You showed understanding that the selling/buying process was to us personally a very important and stressful process and this empathy made all of the difference. This was not our experience of other companies. So, thank you!" "For the last few months we have been dealing with Freddy to buy a house in Fulham for our daughter. Freddy found us a house on Hazlebury Road. We have exchanged and are completing on 31st July. Freddy has been fantastic, really helpful, kept us informed throughout the process. Any questions we had/have he answered them efficiently and quickly. It was just a really good experience and as we understand it was Freddy's first sale he was just excellent. We thought we would like to bring our experience with Freddy to your attention as he was charming and helpful. We wish him good luck." "We were very pleased with the service that we received from Aspire. We wanted an agent active on Abbeville Road with a good proximity to our property and great local knowledge – Aspire ticked all of these boxes. What we liked about Aspire was that you, in particular, were very knowledgeable about the area and had similar experience with a property of our type. You were very friendly and helpful, responding to all our requests promptly and in a professional manner. Everything went very smoothly and we have had a great result with our new tenant. We would definitely recommend Aspire to anyone else in the future." "Just wanted to say thank you so much to all the team for doing a fab job on selling my flat. Especially Alexander - I was very impressed to have so many viewings so quickly and also a full asking price offer within 3 days of marketing so hats off to him for that! I cannot tell you how pleased I am that you guys sold it so quickly. I hope that sold board is standing proud outside! "I just wanted to congratulate you and your team on the really efficient way you handled Ian and Isabella's rather unusual departure from and return to Aldebert Terrace. The whole process from start to finish was magnificently accomplished and you are a very fine team. I always know I can rely on you to do your very best and that extends out into the staff you use outside the office. Mandy's excellent and clear inventory immediately resolved one query, and the quality of the contract cleaning was exemplary. While I have been incapacitated by the fractured wrist and Neil being away at the most inconvenient time, it has been even more of a gift to have Jade so efficiently on the ball and helpful all of the time. "Just a little note with a massive thank you for all your help throughout the sell. Its been a pleasure dealing with everyone in the office. A special mention to Alexander who directly dealt with matters on time, and in the most professional and appropriate manner. "Both Lucy and I found the process of letting our property with Aspire straightforward and trouble-free. Aspire acted with professionalism throughout, by ensuring only high-quality tenants were shown round the property, by managing the negotiation process smoothly and by handling the paperwork with due care and attention. We would recommend Aspire should any of our friends be looking for an agent in the area. "I think that Aspire have been very helpful in the move process mainly due to the constant communication that took place. We have appreciated the use of the online contract services which saved ourselves time and effort. We also have appreciated the effort that was taken to move our move in time to a more convenient one for ourselves. We have found the process to be a simple one which has obviously aided our move. To date, we see no reason as to why we would not recommend Aspire in the future." "I am writing to thank you for an excellent job done securing the sale of our house. This is a tough market (for sellers), but you persisted and got the job done in an efficient and timely manner. I believe you secured a good deal for both the buyer and seller, forging relationships on both sides. I am happy to recommend Aspire, through you, to others who may wish to use your service." "Aspire are a local estate agency that a few of the large multi nationals could learn from. Would recommend them & their team 100%"
"We're both so excited. I spoke to our landlord yesterday, she's so nice! Thank you for so much you've done for us. We really can't wait to get into our new home thanks to you." "My partner Mark and I had a very easy moving experience with Aspire in comparison to previous agencies and landlords. Jade has been so helpful with our search and her prompt responses have meant that the process has moved along very quickly and has been stress free. She has been flexible with viewings and has answered any queries we needed answering. In addition Denise was also very quick at responding and very efficient in getting our contract to us and sorting any relevant paperwork. We are very grateful for the help from Aspire and would definitely recommend you to friends and family for future lettings." "I couldn't be more pleased with my experience dealing with Aspire. With unforeseen changes in our letting arrangement, Aspire could not of done anymore to rectify things for us and get us into our new home as quickly and seamlessly as possible. Their communication is what stood out for me, notifying us of everything along the way. It is clear Aspire work brilliantly as a team, and this shines through with their positive results." "I would just like to drop you a line thanking you and Matthew in the way you have handled the sale of Sandhurst Court. I was so impressed in the speed you sold my property and secondly and most importantly in the was you have dealt with the sale on a day to day basis. You always kept me informed on how the transaction was progressing, you dealt with any outstanding issues regarding the sale in a very efficient manor. As you are aware I run a business transfer business , I therefore have a better understanding than most in the problems one comes across in selling leasehold properties, all I can say from my point of view I was truly impressed by how your office dealt with all the problems that occurred before we finally sold the property." "Buying any new home is a big commitment both emotionally and financially. Finding the right property takes a lot of effort. Right through the process of buying our latest property Aspire were accommodating and reassuring. We had a personal relationship with everyone at the Furzedown office and every hurdle was crossed with their friendly hands-on help. We’re very happy and would recommend Aspire’s friendly service to anyone." "I am over the moon! Thank you very much for all your help regarding my purchase. I have found the process extremely smooth and specifically the services provided by Aspire of an excellent standard. Communication has been brilliant and staff have been very helpful at every stage of the purchase. "I have a very longstanding relationship with aspire (previously Hugh Henry) - I used to rent from you and later have appointed you as rental agents. My current relationship as a client of your rental management team has been excellent, from the initial contact and negotiations with Matthew Carter, whom I have known for years. aspire has been very helpful through the whole process, which they have kept mercifully simple. As I live in the USA - a different timezone, I very much appreciate that you respond promptly to emails and are always at hand to answer any questions. I would highly recommend you." "Jyothi has been my main contact at Aspire in the management of my company for the past year and although this is a fairly short time, she has really impressed me. She has a lovely manner over the phone when discussing my property and always gives me the impression that I am her only client when I know this is not the case. She always responds to my questions in a timely manner and keeps me updated of the progress on any repairs or issues with my flat. She is honest with the feedback she gives to the state of my flat, which is very important as I do not live close to my flat. I would thoroughly recommend Jyothi in managing your property." My experience in dealing with Adam at the Balham branch of aspire was nothing short of first class. Going into the process of buying my first property I was very apprehensive, especially at a time when house prices were soaring and properties were changing hands very quickly. Adam proved to be incredibly helpful and understanding throughout, as well as maintaining impeccable levels of professionalism. Additionally he recommended us a mortgage broker, solicitor, surveyor and even local builder - all of which provided an equally superb service. After the offer had been accepted the transaction hit a number of obstacles, all of which Adam helped us to navigate, constantly keeping us updated and chasing up the seller and his solicitor when there were any hold ups, as well as repeatedly helping to arrange access to the property for our many surveyors. Even after our first mortgage fell through he kept faith with us and helped to keep the seller onside while we sorted out a new mortgage offer. Couldn't speak more highly of Adam and Aspire, and they will certainly be my first port of call the next time I need to visit an Estate Agents." "Please accept this as confirmation that I was extremely happy with the service provided by aspire when selling my property. I found aspire to be efficient, responsive, courteous and proactive. You certainly helped speed the process along by chasing relevant parties as appropriate and you kept me well informed at all times. I also found your prices to be competitive. In conclusion I would have no hesitation in recommending aspire to other home owners." "I would, without hesitation recommend the services of Matthew and his team at Aspire Clapham North. Their knowledge of both the local lettings and sales markets and their presence within them is excellent. Their proactive approach meant that my property was never vacant and always achieved good rents from well vetted tenants. When I sold they were able to find a buyer that not only provided a good market price but one that was flexible and able to work to my time scales." "I chose Aspire as they offered a much more personalised service than other agents in the area - making me as a seller feel that they really cared. From the outset, the team were hugely efficient, helpful and focused on getting the best possible price for my property and closing the sale as smoothly as possible. Throughout the process, I was impressed by their absolute professionalism and excellent communication. I would use them again in an instant, and would recommend them without hesitation." "I just wanted to say thank you to you and your team at aspire. Sam's support and knowledge was really integral to our deal going through- he really put all his efforts in and was always available to speak at length about concerns and issues that arose, even outside working hours. He was a great negotiator and mediator and we felt very lucky to have had him working on our sale. We love our new flat and thank you- we would definitely recommend aspire and are very impressed. My husband and I spoke about how fantastic we though Sam was numerous times & I'm sure that's reflective of your whole team. "I would definitely recommend aspire as an estate agent of choice. They acted with efficiency and honesty throughout the whole process of helping me find and secure my rental property. I would specifically point out that Jade Rose was an excellent negotiator and I would be very happy working with her again in the future". "I found the process with aspire easy and efficient. Denise was very helpful and always available and happy to answer our questions throughout. I felt confident in their professionalism and I'm looking forward to the next year in our new flat." "I have used aspire since 2001 when it was Hugh Henry. I have always dealt with Mathew Carter and so I have a good personal relationship. I have always found that my properties let quickly, sometimes so quickly that I barely have time to decorate! I have found that all the agency staff have been pleasant and helpful and I do recommend aspire Clapham to my friends." "I would like to say a huge thank you to aspire for all the help and support with selling my flat in Clapham. The service has been impeccable; the professionalism of everyone has been particularly outstanding. I bought my flat through aspire in 2012 and the experience was such a positive one that I had no hesitation in coming back to them when it was time to sell - this is testimony to their great service. I would like to say a special thank you to Christine who has been amazing, quite literally, throughout the whole process." "Just wanted to say a BIG Thank You to you and your team for supporting us through the letting of the basement flat, and finding us suitable tenants. I sincerely hope they will also be happy there. Just wanted to also say that I am still impressed at what a good team you are and how well you work together. It is a great joy in this day and age when everyone is always in such a rush to work with you all. We always know you will have wise counsel or a good answer to all our queries. Thank you all so much." "I am absolutely over the moon! Thank you so much for your hard work Chris, we really appreciate it!" "To say that it was a pleasure to deal and work with Sam is an understatement. You are truly lucky to have Sam on board as he is truly exceptional for a number of reasons. You'll know, that the sale of this property was not without its challenges to say the least. However, Sam was professional, polite, calm, gracefull, poised throughout. He has such an excellent manner and is so very patient. I would say 99.9% of the time, I agreed with Sam's approach whenever we faced a hurdle. He was commercial, practical and personable. My feeling is that Sam is not only a first class professional, but a truly amazing and lovely person from within. Obviously, buying a property is an emotional thing. However, buying on Wardo Avenue, was even more so for me as my late father had a house there and Sam understood that very well. In the future, I shall hopefully be purchasing more properties and shall contact Sam immediately. I would highly recommend aspire." "I wanted you to know out of all the properties that are currently managed you are by far the most responsive and welcoming team to deal with! Thanks for managing our two properties." "With regards to the recent sale of my property I couldn’t recommend Christine highly enough. From the outset she was particularly professional, but also brilliantly proactive with regards to marketing my property and also in keeping me in touch with feedback. Christine came into her own, however, during the period between the offer being accepted and the exchange taking place. The chain in which we were involved in was particularly complicated, and involved a number of different parties. Christine was excellent in keeping abreast of the information flow, and also using her many contacts across the industry in South London to ensure that the chain stayed alive. I think my solicitor bestowed a great independent compliment when he said that Christine was one of only two people whom he trusted in the whole process! I am sure that if Christine wasn’t involved in the process the chain would have fallen apart. "Having recently exchanged on a property in Clapham, we have been extremely impressed with the dedication, timeliness, and attention to detail shown by Christine and the rest of the team at aspire Clapham. There were a number of unforeseen delays, but these were always handled with a level of professionalism that made the process far less stressful than it could have been. I’m sure that the completion will go through within the next couple of weeks with a similar approach and would definitely recommend aspire to prospective clients. "Alice and I would like to thank you for all your assistance throughout the process of our purchase. aspire were professional throughout the process and we would recommend you to family and friends in the future. Thanks again." "aspire in Fulham did a great job and showed a great deal of care in finding the right buyer for our property. They acted quickly and professionally and are a great bunch of people." "aspire did very well for us in difficult circumstances and it was a great advantage having an agent who had such deep local knowledge and a consistent willingness to address potential stumbling blocks head on. We would not hesitate to recommend Tom Ward and his team." "Thank you for all your hard work in helping with the exchange and completion of the flat. I would also like to thank you and aspire for the parcel that came with the keys, it is very thoughtful and is certainly a good start to moving into the property! Good luck for the rest of the year." "Dealing with aspire has been very straight forward. Lauren was always easy to deal with and always very prompt replying to emails. I am based in Hong Kong at the moment so it makes it harder crossing over time wise but that was never a problem dealing with Lauren. aspire have always been helpful to me and I bought my first property through them back in Feb 2007." "aspire quickly secured a purchaser, and Victoria went the extra mile at every step to help with a complicated sale whilst driving all parties on. Highly recommend their services." "Thank you for being wonderful during the whole purchase process, helping out and being constantly on hand- couldn’t have done it without you. Thank you also for the beautiful flowers, biscuits and tea - made us feel very welcome." "aspire have been brilliant in all aspects of dealing with the sale of my property from beginning to end. Their personal approach was refreshing and reassuring. My agent Victoria worked endlessly and efficiently to ensure the sale went through smoothly. Regularly updating me and promptly dealing with any enquiries which occurred. Thank you for all your hard work." 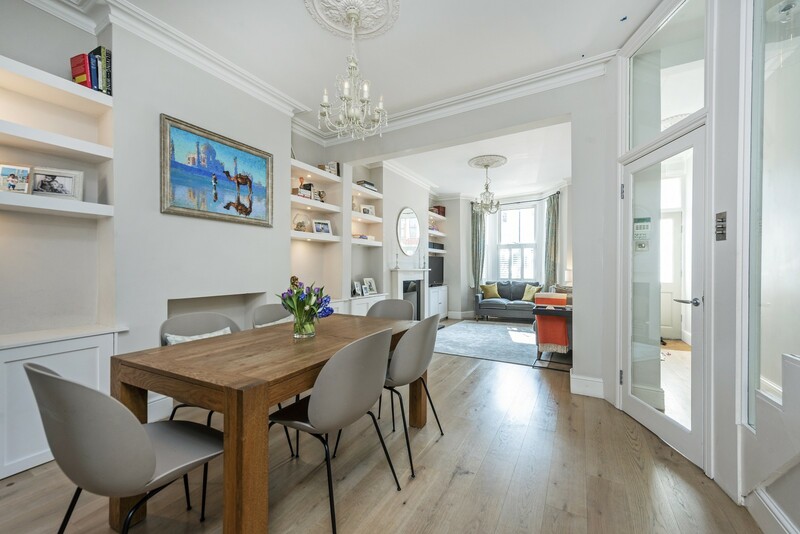 "Our recent property search for a buy-to-let in Fulham put us in contact with each and every estate agent in SW6 - with huge variations in the level of support and guidance on offer. From the very start Josh was not only knowledgeable and helpful but nothing seemed too much trouble. Living out of London, Josh provided us with an invaluable service, keeping us totally up-to-date at all times, so much so that we are more than happy to hand the property back to him on a lettings basis! On asking around, it was rather nice to hear that aspire are held in great esteem by all - no suprise there. P.S. Many thanks for the lovely hamper - fizz in the fridge now!" "My dealings with aspire were friendly, professional, communicative and they made the whole process very easy and pressure free. Lauren, it was a joy to deal with you. My calls were always returned and any problems dealt with in a professional manner. Well done." "I found the rental process refreshingly easy with aspire. The agent showed us round then property on a Saturday morning and was very honest about any questions we had to ask. All the information regarding reference checks, deposits etc was very clearly explained and any questions we had were promptly answered. I would highly recommend aspire!" "Just a quick email to say thank you very much for the smooth process for the purchase house, we are delighted to have got there and bought a family home. "Good news - got the keys and your very lovely gift. Thanks very much, a really nice touch. By far and away my best experience of estate agents! It's not true what they say about you guys." "I have today completed buying a flat at Chelsea Creek. This is just to let you know that I thought Alexander handled the whole process really professionally and I am very happy with the outcome. We had relatively little contact because things went smoothly, but that was I am sure itself the result of the effort Alexander put in. Thank you for making this a painless experience." "Mili was a great agent to deal with. Prompt, straightforward, flexible with viewings and friendly as well. She helped us find the flat we wanted and negotiated a rate we were happy with." "Thank you once again for the hard work that you and the Balham sales team did to make this happen! I will definitely recommend you to all my friends and family." "Aspire's office at Clapham North handled the sale with skill and patience, somehow making both sides of the negotiation feel that everybody had got a good deal. Any problems which arose during the sale were solved efficiently. I would recommend aspire." "Having recently purchased a property in Querrin Street I would like to thank aspire for making it a very stress free situation! Josh dealt with all matters very efficiently, promptly and was very helpful as this was our first purchase within London and we had no local knowledge to draw upon. He put us in contact with excellent legal representation and other useful contacts which made for a very easy buying experience. Throughout the negotiations communication was prompt and advice was sound and well considered. Throughout and indeed after the purchase had been completed Josh and his colleagues have remained extremely helpful and supportive. On moving in we really appreciated the gift of a recipe card and the ingredients to make a meal in our new home. Lovely touch! Many Thanks." "I am really happy with you guys! You rented the flat so quickly and are really efficient and professional. I would definitely reccomend you." "Thank you for all your help getting the new lot in, you’ve done a super job!" "I instructed Mark and Russell to sell my house in Battersea at the beginning of 2013. They were incredibly well informed about the local area and the type of property I was selling. They worked industrially throughout the time the period during which the property was marketed, and I was extremely impressed with the manner in which the viewings were conducted. There were some residual issues following the sale of the property and the guys went ‘above and beyond’in assisting me to resolve those issues. I have recommended them to a number of other local residents who have been equally impressed and will continue to recommend them in the future." 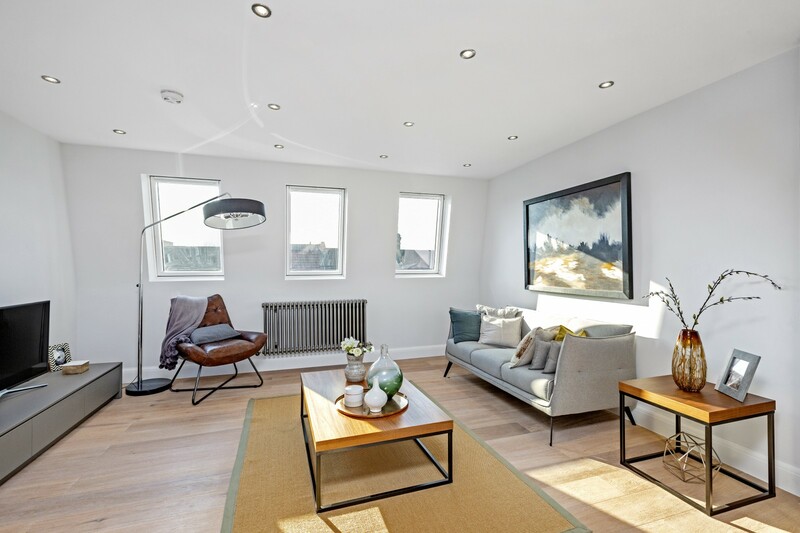 "I recently refurbished a Fulham house and brought aspire in before we commenced work to discuss the layout and specification most desired by rental clients. aspire's detailed knowledge and expertise of the local rental market helped us to create a desirable rental property and after 7 months of renovation and a flurry of enquiries aspire successfully rented the property. They have recently re-let the property with only 24 hour void; I have been confident in the whole aspire team throughout the whole process and I have always found them to be helpful, friendly, efficient and professional with excellent local knowledge. I would highly recommend them and will definitely continue to use them in the future." "I just wanted to write a quick note to say thank you to everyone at aspire who helped with the sale of our flat. We were overjoyed with the final sale price that was achieved. We thought that you were all very professional and friendly throughout the whole process and would certainly recommend aspire to others looking to buy and sell a home. In particular, Alexander was fantastic and spent many hours on the phone with both parties trying to get things done. He kept me calm in times of frustration and was always willing to help. Much appreciated as it all got quite stressful at times! But we got there in the end. I hope aspire has a prosperous year." "I just wanted to drop you a line to say how professional, incredibly supportive and enthusiastic both Josh and Sam were throughout the sale of Henny's and Rowley's flat. Josh had a most frustrating three and a half months with our first purchaser but never let it get him down. He persisted to the very end but it just wasn't to be. Sam then had the good fortune to be able to nurture a cashbuyer and brought us to exchange of contracts in just 2 weeks. I will most definitely be recommending aspire to friends. Hopefully too aspire might well be able to take part in the finding of separate flats for Rowley and his fiancee, Olivia, and Henny in the near future. They are not starting their search until completion, and are not sure of their exact search areas yet, or individual price ranges either. However once the money is in the bank I am sure that they will be in touch!" "We would like to thank aspire Balham for their professionalism and speed in finding us an appropriate buyer for our property. We were feeling anxious due to a previous estate agency but aspire took away the stress and the process ran very smoothly. We were particularly grateful for the constant communication with us, the buyer and the solicitors on both sides. We would definitely recommend aspire to anyone in Balham looking to sell." "We have recently rented a property off Abbeville Road and the process was managed very effectively by Jonny. He had a good understanding of our requirements including timeframes, and initially showed us a number of properties which met our criteria in part but ultimately managed to help us secure a property exactly to our requirements before it had come onto the wider market. We appreciated his efficiency, support and professionalism. He was always on time to meet us, and had a great friendly manner – he helped us sort through details on the contract with the landlady and responded quickly and promptly no matter how small the request. I have already recommended him to a friend in the area looking for a rental property!" "It is entirely fair to say that at EVERY stage of my search, viewing, negotiation, pre-contract, exchange, completion (and even post-purchase support), Victoria Ball, who was the aspire executive dedicated to this property sale gave me, the buyer, a flawless service. Rarely is one able to offer such comprehensive praise, but it was fully deserved. It would not be possible to imagine a more satisfactory service, so naturally I would recommend them to you." "I have bought properties through aspire Clapham during the last two years. I have always found them to be helpful, accommodating and to provide great customer service throughout the sales process. They have excellent local market knowledge around sales and lettings so its always easy for me to understand the market quickly." "Very professional service that has been very easy and a pleasure to work with. I would definitely use aspire again in the future and will recommend in the future to friends and family." "I used aspire to let my property for five years and recently for its sale. I was confident in the team at aspire on both the lettings and sales. They were friendly and very efficient and dealt with any queries immediately often going beyond the call of duty to help with easy sale or letting transitions. Their knowledge of the area is superb and based right in the heart of Fulham rather than on the main drag away from the residential area is a massive plus. I can highly recommend aspire. "I just wanted to pass on my huge thanks to Aspire for helping with the successful purchase of my new flat. I am extremely happy with the new flat and the level of service I received from aspire. In particular I wanted to mention that the service, assistance and communication I received from Alexander Dawes was outstanding throughout the purchase, from the initial stages of looking for a flat to helping me through the purchase process and I wouldn't hesitate to recommend aspire and Alex in particular to anyone looking to buy a property in the Fulham and Sands End area." "I can say that the service that Aspire and Sam in particular provided was excellent in every aspect. Nothing was too much trouble; even when the first buyer was forced to pull out, Sam remained positive and produced another buyer with 48 hours. Sam worked tirelessly to ensure that the sale progressed as scheduled, and as a result the process was smooth and easy from my perspective. I would highly recommend Aspire to anyone!" "I have recently exchanged contracts on Beltran Road. Alexander was our negotiator for this sale. I wanted to write to tell you that he has offered an outstanding service - he was always available for follow-up, negotiation and did a great job of managing both sides! I do believe this sale, with so many uncertainties surrounding planning, the state of the building etc, only went through given Alexander's super negotiation skills and calm follow up! Thank you for all your help!" "Dear Christine, I just wanted to thank you for your amazing hard work and support all through the sale of my flat. Your positivity, initiative and professionalism were utterly fantastic! Thank you so much!" "As brand new house-owners, my wife and I would like you to know that we have had a wonderful experience house-hunting with aspire. Sam, in particular, was extremely good to deal with. We were looked after very well by Sam throughout, and his friendly advice was much appreciated. He was always on top of things and was timely with his communication - we were always made to feel like a priority. What we liked most was, no offence intended at all, his lack of estate-agent talk. He let us look around the properties on our own time and wasn't aggressive about his approach. The others we met from aspire, Charlotte and another colleague, were also very helpful and pleasant. When time comes for us to move up the ladder, we are most certainly going to use aspire again. Thank you very much indeed for helping us find what we were looking for!" "I found aspire as an estate agent in general to be very approachable and to break the mold of what one expects of an estate agent! Lauren specifically was a pleasure to deal with: nothing was too much trouble, she was informative and professional yet friendly and approachable throughout our interactions with her (even though we ourselves might have been a bit stressed and short-tempered at times!). Lauren was able to answer all our questions or refer us quickly if not and this often involved her replying in the evenings which was very impressive. I have no negative feedback whatsoever!" "Having just completed the purchase of a 2 bedroom flat in South Clapham alongside of my daughter, I am delighted to say without reservation how pleased we both were with the contribution made by Andrew Johnson during the initial flat search process and afterwards to the whole purchase process . Andrew was responsive, informative, and scrupulously clear on all matters relating to the purchase. The search, selection and subsequent transaction process were all personally facilitated by Andrew throughout. On the basis of this experience we would have no hesitation in recommending aspire to anyone contemplating involvement as buyer or vendor in a well-managed residential property transaction." "You were at all times helpful and efficient and made the whole process of buying a flat fairly pain-free! I would have no problem recommending you and aspire and look forward to hopefully you finding someone to rent my property at the appropriate time." "We have now worked together for three years and having completed our latest transaction I thought I would drop you a note to say thank you for all your help and kindness and your patience’s over what have been on occasion difficult transactions. The firm takes the hassle out of investing, you are there to advise on the purchase and then almost seamlessly, the letting department finds an occupier and the management department administers and sends money monthly. The sales team on answering the phone are chatty and personable, it is great to be involved with a friendly firm who seem to value long term relationships. More please! Again thank you." "As a landlord living abroad, I rely heavily on Aspire to look after my property for me. And they certainly did that when a disagreement with a tenant arose. Aspire, and particularly Jyothi Pamera, were incredibly professional and thorough, and helped deal with a rather nasty situation. I would whole-heartedly recommend Aspire to anyone thinking of employing their services." "We are pleased to say that we would recommend Aspire to friends and family that might need your services in the future as we are happy with the service you provided during the buying process. In details our agent Sam has been very approachable and personable and thanks to his warm personality we felt very comfortable during the transaction. Being a first time buyer can be stressful and we were very happy on how Sam guided us through the process, at times going above and beyond his role to make sure we would exchange on time. Finally the pack we had on completion day was a really nice touch and it is another example of how personable your service has been." "Thanks again to your team, and particularly to Sam, for selling our flat so promptly. The whole experience with Aspire has been excellent, and Sam has been very professional, prompt with his replies and easy to deal with. Good luck in the future." "Living overseas as we do, trying to find new tenants for our Brixton flat was proving to be very difficult. We were reaching the point of desperation when Lauren from Aspire stepped in. Lauren responded to my initial email enquiry to aspire within 24 hours, and has maintained an organised communicative and responsive approach throughout our interaction with her. I have been so very impressed. Lauren had our flat up on the Aspire site extremely quickly and found us new tenants within days. To every query I had, small or large, some silly, some significant, Lauren responded with diligence and efficiency. Having purchased our flat through Aspire some years earlier, I cannot recommend the agency highly enough for both sales and letting services." "Harriet and I would like to thank Josh for his efforts in finding us our flat in Furness Road. Josh was able to find what we wanted quickly and in our price range. He also made sure that he kept us updated with all we needed to know so we were never kept in the dark. Josh was also always there to answer our many questions. We would definitely get back in touch and use aspire again to help us find another property." "My rental process through aspire was superb from start to finish. My housemates and I had a viewing for the property in question arranged immediately and they were extremely flexible and accommodating in meeting our late-notice time demands. Once we had decided we wanted to put an offer in, we were expertly guided by the negotiator all the way through to signing the contract itself. Payment was quick and easy and the customer service throughout was excellent. We were communicated with and felt valued at all stages. Ultimately, it was a seamless, hassle-free experience and I will definitely be recommending aspire and its people to others." "I just wanted to let know we have completed on our property at Elbe Street, after 8 months of looking and 2 failed purchase attempts. We had originally been let down by poor due diligence and shoddy service by other agents, which resulted in 2 failed property purchases, both down to lack of planning consent and one where the roof terrace was not part of demise! We came to Aspire in particular Alexander Dawes at our whits end of trying to buy a property. We could not have found a more helpful, intelligent and skilled negotiator in Alexander. Aspire in general were like a breath of fresh air, after some terrible episodes with other local agents. Alexander negotiated very well and had us in the property within a month (including Christmas!). He kept every promise along the way, and communicated at a far superior level than any other estate agent I have dealt with (I have dealt with them all). Your offices are friendly and warm places to be in, and everyone seems to enjoy customer service (rare). I must confess I was not very aware of Aspire before now, but I fully recommend your services to anyone who wants to listen. Thanks to Aspire and Alexander we can finally carry on with our lives. Ps The hand over pack with the Champagne etc, is a very nice touch." I have found Lauren to be very helpful throughout the rental process. She has always replied to my emails and phone calls quickly and responded to all of my questions with the information I required. Tenants were found for my property very quickly. Aspire were open to negotiation and Lauren always kept me in the loop during the negotiation process. Thanks to Lauren the rental process went smoothly and I would recommend Aspire to other Landlords." "Many thanks for your congratulations letter and voicemail on the day of exchange. It’s a cherry on the top of what has been a phenomenal service so far. Whether or not comparing you to industry peers or non-related industries there are many that could learn from your company." "This was my first move and I'm so happy that we went through aspire! Lauren, in particular was so helpful, and very quick at coming back to us with any questions we had! The move in was quick and easy. I would be the first to recommend aspire to anyone hunting for a flat/house and can't wait to work with them again!" "The entire process was handled extremely professionally from start to finish and I was impressed how quickly things progressed from the initial viewing to moving in. The staff at aspire, in particular Lauren, were very helpful and answered any questions we had in a timely manner. I would recommend aspire to anyone looking for property rentals within London." "The whole property search and subsequent reference checks/move in went very smoothly and quickly. Lauren was very helpful throughout the whole process and she was always very efficient and polite in addressing any queries or concerns that we had. I would have no hesitation in recommending aspire to others in the future. Thanks for all your help." "It was a pleasure to deal with Lauren, she was of enormous help and assistance, thoroughly professional with a friendly manner I'd have no hesitation in recommending her to anyone." "I had mentioned to both Chas and Charlie after signing the contracts last weekend, just how fantastic Aspire have been to us and please know - we are greatly appreciative! Perhaps it was luck or fate, but its was a random drop in to Charlotte after viewing a flat on Battersea Bridge Road that we met the Aspire team and found such a lovely home. Charlotte was more than patient with me in our initial viewing and allowed me to communicate with Chas whilst he was at work. Both Sheila and Charlotte negotiated our terms of contract fairly, respectfully and in support of the requests and limitations of both parties. We are also very appreciative of your arrangements to show Charlie through the property on what must have been such a busy weekend for your office, once again your staff member was very kind and lovely to us all. The service continued past our move in date where we have been very grateful to you Sheila for the time you have taken to fulfil any requests that we have had in relation to the property." "I'm very grateful for your effective service, good humour and support through the process. I shalln't hesitate to recommend you to any of my friends who are looking for a professional agent.While you can never, unfortunately, compensate for the shoddy activities of some of the people in your line of work, you've done a great deal to reduce one's cynicism. So, many thanks again. Please give my thanks to to rest of the team." "I have been dealing with Lauren Burnett since September 2012 when she took on the remarketing of my rental property nearby. I was extremely pleased to find that she kept me fully informed of the viewings that took place, leaving me helpful messages on my phone when I was not available, and at no point was I the customer left wondering how things were progressing with my property. This is something a great many local agents appear to have forgotten about. Lauren has a very mature approach in dealing with customers and I have found her a pleasure to deal with. She has proven to be extremely helpful to me whilst I have been organising the changeover of tenants and is currently acting as an intermediary between myself and a difficult tenant, a situation she is handling with maturity. As a background to the above I should add that I have been renting out property in the Clapham area for more than 10 years now, have dealt with most of the estate agents in the area, and it is a long time since I have found a member of staff as helpful as Lauren. She is a credit to the business and I hope she flourishes in her career with Aspire. The next time one of my tenancies comes up she would be first on my list to call." "Sheila has been a pleasure to work with! She has been very pro-active and efficient when responding to queries throughout the process. Additionally thanks to Sheila's valuation we were able to market our flat at the right price had it tenanted very quickly. I would be happy to recommend Sheila to other friends." "Aspire's speed and dedication in reletting our house has been second to none. I have never knowingly come across a more efficient or professional estate agent. The manager has a tireless attention to detail and patience with her clients, while always seeking the best deal and offering the best advice for everyone concerned." "Fast and efficient service with good communication throughout. Lauren was very helpful in arranging all the details and modifications. Would recommend Aspire to anyone because the whole experience was pain free, unlike others with whom just viewings seem to be an effort." "Unusual legal complications with a lease extension coupled with an absent vendor made our purchase both long and difficult. Aspire stepped in to handle these problems with patience, skill and re-assurance that we would get there somehow. Professional calm, cheerful and friendly are words that spring to mind and I have no doubt that without the infinite patience and effort of both Christine and Matt then this sale would not have taken place. Once our sale finally went through then Aspire immediately came to the rescue again. Lauren found us two great tenants within days and at the full asking price - so we couldn't be happier with the service we've received and would definitely use Aspire again for our next purchase in the area. Many thanks to the team." "I cannot recommend the Aspire letting team in Battersea highly enough. The valuation was spot on, and the flexibility an independent agent such as Aspire can offer, makes them extremely competitive in an overcrowded marketplace. As a first time Landlord, Aspire guided me through what can be a complex and daunting process, with ease. Charlotte Townend worked very hard to let my property quickly, and managed to do this within 10 days, achieving the asking price. She was highly responsive, very courteous, punctual and efficient." "I wanted to drop you a note on behalf of my daughter Charlotte, who has just bought a flat in Carnwath House, to say how brilliant Alexander has been. Charlotte has not been around a great deal throughout the purchase as she is away at university and so I have been acting as an intermediary. Alexander has been very patient with us and extremely tenacious in chasing all parties involved. I am sure it would have dragged on much longer without his intervention. We look forward to using your company at some point in the future with a view to renting the property." "Now that my tenant is settled in I thought I would drop you a line to thank you, and Tom, for your help. You were very positive and honest with me when we first met and in all subsequent contact. I confess this was in contrast to some of your local competitors. You made the process of renting out a painless one and, most importantly, found a person who leaves the first impression of being a first-class tenant." "Just wanted to let you know that my experience with Tom and Carole has been a very good one. Since I have moved to London this was the first time I dealt with an estate agency to rent a flat. I had a lot of worries and doubts because of the commitment to pay a rather high rent compared to what I was paying previously and they were bothvery helpful in re-assuring me and answering all my questions." "My husband Dan and I were very happy with the service provided by Carole. She was very friendly and helpful during all our interactions and knowledgable about the local area, seeming genuinely passionate about Tooting. The house was rented out quickly to the first couple that viewed our property and they were the type of tenants we were looking for. We also felt that the property was very well marketed on the website, with enticing, high quality photos and a good description of our home." "We thought our agent Sheila from Aspire Battersea, was very attentive to our needs. We felt our questions were answered honestly and directly and our agent provided a professional yet personable service. We would recommend Aspire." "We found the renting process through aspire went smoothly and we were kept informed of the progress throughout. Our negotiator, Lauren, was very professional and friendly and made the renting experience easier. I would recommend Aspire in the future." "We have had a very good experience using aspire to secure our flat. We found Lauren and the team very helpful throughout the search and once we have found our flat. Lauren was always quick to respond to any queries or questions we had, and did her utmost to ensure that all our requirements were accommodated. The rental process, including the negotiation was great. We would definitely recommend Aspire in the future." "Thanks so much for all your help with the purchase. It really has been great dealing with such a professional, honest and friendly estate agent. It’s made a huge difference in making the sale go through so smoothly." "Having regularly used London estate agents over the past six years I found dealing with Andrea to be by far the easiest experience. From viewing the house to signing contracts the whole process was simple and straightforward and she was easily contactable throughout, as well as proactively updating us. In all our dealings she was genuine and honest, which was a great reassurance and made the whole process far less stressful. She may not know it yet but she is now my personal estate agent going forward." "I would just like to thank you for your teams fantastic help in selling my flat. In dealing with both James and Alex I was blown away by their superhuman work ethic, the speed of their replies and depth of their knowledge. Praises for your team and company are being sung all over London." "As homebuyers we were very pleased with aspire’s service. They were flexible when arranging viewings and, as first-time buyers, guided us through the process of making an offer and having it accepted. During the conveyancing process, which dragged on for quite a long time, Christine was extremely helpful in chasing up the various solicitors involved, at one point even collecting a document from our solicitors’ office and dropping it through our letterbox so it could be turned around overnight! We would have no hesitation in recommending them to any potential buyers in the Clapham area." "I was very appreciative of the attentive service recently provided by Andrea in the Clapham South office. In a short time she was able to successfully market my property and secure new tenants. I also value the work of the property management and accounting staff who are always responsive to my queries. It provides peace of mind to know my property is managed in good hands." "aspire made our property search an easy one. Andrea was particularly helpful: her professional attitude and prompt replies to our emails ensured the process was a smooth one. Highly recommended." "I have been meaning to send you a note for a while now to say thank you for all the hard work that Aspire, namely Alexander Dawes, put in to selling my flat Stephendale Road. Alexander was very patient with me, during what was a very trying and emotional time - selling your flat whilst recovering from surgery!Anyway, I just wanted to write my heartfelt thanks for all your help." "We found the rental process with aspire very efficient and easy. This became more apparent when comparing the process to our previous estate agents. We found Lauren very friendly and she made the process much less stressful for us. She always responded quickly to our emails or phone calls and made us aware when she was out of the office, so that we knew who to contact. We would definitely recommend aspire to anyone looking to rent or buy a property." "Throughout the rental process I found that aspire Estate Agents looked after me perfectly. They were thorough, efficient and prompt at all times, and terrific at helping me, as an inexpereinced landlord, negotiate the process seamlessly. They were a pleasure to deal with throughout and I wouldn't hesitate to recommend them." "Thank you very much for all the help in selling my flat. Alexander was helpful throughout, keeping us informed and being constantly in touch with updates and chasing up the other side and the lawyers. It meant that we were able to concentrate on finding a house to buy (which will hopefully be happening very soon!) and we would certainly recommend to our friends to sell through aspire." "I can't thank Damien enough for all his support and generosity of spirit whilst we went through the process of buying our first flat. He was patient and kind dealing with all our questions as first time buyers. We had quite a few problems with the mortgage process and he was also upbeat and positive, finding solutions rather than pointing out the problems. I really became quite good friends with him throughout the process, it feels strange not chatting to him on the phone every day! Damien has a great style about him, and he is tenacious and committed to driving the process whilst being really friendly at the same time. He also had to take a lot of grief from our vendors which he did in good spirit. I couldn't recommend him enough and if you've got promotions coming up I'd definitely put him forward. People talk about estate agents being a bit of a pain but I can honestly say that Damien was fantastic throughout. He is a real asset to your company and I hope he goes from strength to strength." "We have just sold our family house in Sands End through aspire and I cannot speak highly enough of the service provided. Within the first week we had received a number of offers that we all felt were below the figure that could be achieved, and a few weeks later I accepted a figure within 3% of asking price. During negotiations the proposed purchasers repeatedly asked for reductions and eventually I stated my concerns to Alexander that we were giving too much away. Rather than try to protect this “bird in the hand” that was only a few days from exchange, Alexander agreed with me and encouraged me to remarket the property. The next day aspire lined up a number of viewings and by that evening James had secured two asking price offers. It went to sealed bids and the next morning we accepted an offer in excess of asking price. The sale completed yesterday at a figure which was more than £50,000 higher than we expected when accepting the initial offer. I would strongly recommend aspire to anyone looking to sell their home in SW6. Having sold a large number of properties over the years, both personally and as a developer, it is my experience that the firm is some way ahead of the competition, both in terms of integrity and achieving results." "Andrea made it easy to find and buy the right property. She listened to what I wanted, quickly agreed a targeted shortlist of properties to view and gave helpful advice to aid final selection. Andrea is a pleasure to work with and I would have no hesitation in recommending both her and aspire." 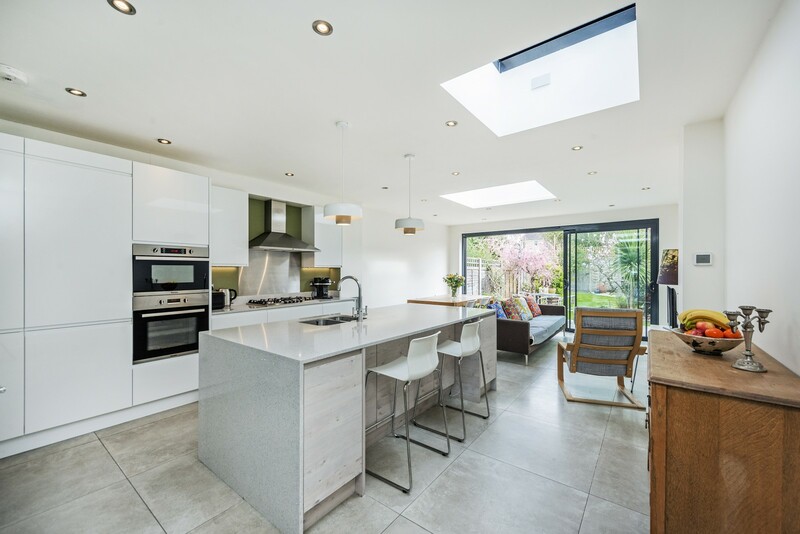 "The team at aspire Fulham provided us with a thorough and personal level of service from the moment our house went on the market with them through to exchange of contracts and completion. Each and every query and step of the process was handled by the team quickly and in a personable manner even out of hours when needed. This has made the experience as stress free as possible with Tom working closely with his negotiators to make sure we received the best price and level of service possible."